This ticket allows general access to Soenda Festival 2019 on Saturday, 18th May, 12:00 - 23:00. 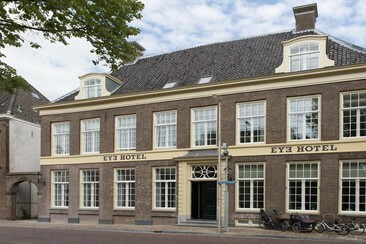 Situated on the outskirts of Utrecht five minutes' drive from the city centre and the Utrecht Industries Fair buildings. Mitland Hotel Utrecht has 139 luxuriously furnished hotel rooms and is situated in a splendid park and offers a wonderful view of the old 'De Bilt fortress'. The setting and architecture of the hotel make you feel as if you’re in the middle of the countryside. You can enjoy an extensive lunch or dinner at the beautiful restaurant situated on the waters of ‘Fort de Bilt’. The attractive brasserie is perfect for a simple or quick bite. In the field of relaxation offers the hotel numerous possibilities: bowling, swimming, cycling, jogging or walking. Mitland has several rooms for 10 to 250 persons for weddings, receptions, meetings and congresses. 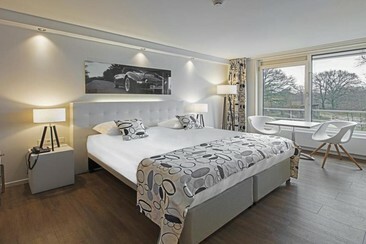 The location close to exit 30 of the A27 motorway and its own spacious (paid) car park is unique for a hotel in Utrecht. This ticket entitles you access into the parking lot on Saturday, 18th May, 2019. Purchase your shuttle bus ticket for Soenda Festival 2019 here! A round trip ticket from Station Utrecht Overvecht. Purchase your locker for Soenda Festival 2019 here and skip the queues!